I’m a London cycling blogger who loves and hates hills in equal measure. I ride to prove I still exist. I ride to forget I exist. The Human Cyclist blog is my love letter to cycling. Expect a couple of blog posts a month (ish) usually road bike themed. My best blogs are niche or a new spin on familiar subjects. These are my cycling parables written to inspire you to ride your bike and make you smile on a rainy day. I love comments from readers so don’t be shy, share your thoughts below the line. Well, what are you waiting for? Tuck that trouser leg into your sock and we’ll see you at tea time! Images – where possible I will credit all images on this blog and use royalty free images. If you find an image of yours give me a shout and I will either attribute or remove by request. Your road.cc tag said, try it, you might like it. I did, and I do – thank you, it made me smile on many levels – shall be returning for future musings and will pass the word to hopefully like-minded souls. Enjoy the ride. Thank you Richard for your very kind words about my humble cycling blog. Always good to know people are enjoying this labour of love! Just had a quick read through a few pieces. Entertaining, will be back for a proper read. I do think using the picture of the car hitting the race (in South Africa or maybe it was Brazil?) is a bit sensationalist, gruesome and out of context. To be honest I think it cheapens a pretty good site. Thank you for the feedback Matt. I’ve moved this conversation to the original post as I would be interested to hear what others think. A recent discovery, but absolutely love your stuff. I’m a grumpy middle aged man who loves road cycling and chooses not to wear a helmet (I don’t want any motorist to think it’s safe to crash into me). Keep up the good work! Thank you Mike, always great to hear some feedback from readers. Sometimes it can feel like writing into a black hole or the cycling equivalent of taking on the hard shoulder of the motorway (in the wrong direction!). I do like your site- great writing. I’d be interested in your take on this; I was cycling in Wales the other day, heading at a good clip down a hill past a farm when a Border Collie leapt out barking, teeth bared, ready for the intercept. What is the correct thing to do in this circumstance? I gambled on the intelligence of the collie, and maintained my line as we were likely to collide anyway, and that way I had a sporting chance of psyching him out. As hoped, he saw sense, and turned at the last moment and a trip to the vet for both of us was avoided. Any animal related cycling thoughts you are able to share, or advice for the readership? Thank you PRSboy and a good question – I began replying here but soon found my verbosity turning the comment into a full on blog post. So in your honour, here’s a long answer to your question! Hope you enjoy it. Cycling – What to do when animals attack! I just found your blog, and I really enjoy what I’ve perused thus far. The pictures from your tour of Scotland are beautiful and I like how you really take the time to write actual content about your journeyings. In one of your posts you mentioned “all those track stands” in London. Did you ever ride the velodrome? Also, I’m also following you on Strava. Cheers! Thanks Joshua. Scotland is a dream to ride, hope you make it over some day. I’ve ridden track but only on a taster session. Loved it. I ride a fixed gear to work every day so have plenty of time to perfect track stands at traffic lights! I see you’re a bit of a track star. You like my image of Winnats Pass then??? A beautiful image of a wonderful climb Kevin. Please let me know if you wish me to link to you, update the credit or remove the image. Great site! Any chance you have a full HD version of the sunset Sa Calobre, Mallorca photo?? Thanks Rich, unfortunately not. Beautiful image though. Going in September. Will try to take one of my own! Cheers, Rich. Thank you for this fantastic blog. Loving every single entry. Thanks for the feedback Timo, really great to hear folk enjoy my ramblings. Long time lurker on this blog posting for the first time…. firstly I love your blog 🙂 cheers mate! Have you got any tips on converting a multi speed freewheel bicycle into a single speed fixed gear cycle? Is it possible to do so?? Hi Advait, thanks for lurking! I looked into the single speed conversion a long while back. From memory, if you have vertical dropouts – Short answer for fixed gear: it’s possible with the right (expensive) parts but not recommended. Single speed freewheel, yes, just make sure you get the correct chain line and tension (you can buy conversion kits with spacers and an ugly looking tension mechanism). I ended up buying a frame with horizontal dropouts – there’s no chance of the rear wheel slipping when back pedalling so I don’t worry about safety. Read around a bit, check out Sheldon Brown who was the master of conversions and good luck. Oh and take it easy on your first few rides if you do convert, better safe than sorry! Brilliant blog with great writing, it actually inspired me to start my own (although it’s a bit lean on content at the moment). 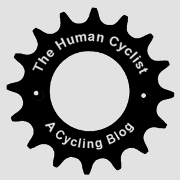 I like the insight into the mind of an amateur cyclist, and your blog captures it perfectly. Look forward to reading more. Thanks TFF, great name by the way. Good to hear you’ll be writing too. Cycling and writing, two of life’s great pleasures. Hi – love the blog! Just wondering if you can help me. Love my trusty (entry level) cyclocross bike but would like to upgrade – I commute daily 24-miles round trip (during fair-weather, although my aim this year is to keep that going all year) & cycle socially at the weekends. Any tips, budget circa £500 but can stretch that it I can justify it! Hi Mark, thanks for the comment. A few of my club mates have picked up Eastway bikes (made by Wiggle) and they highly recommend them. They seem to get good reviews too and you can get them fairly cheap. Other budget options with good reviews include Decathlon and Vitus. You’ll probably find more options and better gear at £750 if you can justify it! Look for something that can accomodate 28mm tyres which will give you more comfort on the commutes. I’d also recommend you look for a bike with attachments for full mudguards which will make the commutes much more bearable in bad weather. Trust me, mud guards make a big difference! Thanks for the reply @humancyclist! Within budget I ended up getting a second-hand* Giant TCS SLR 2 2016 model (https://www.winstanleysbikes.co.uk/product/78753/Giant_TCX_SLR_2_2016_Bike_Black_White_Red_M_52_5cm?gclid=CjwKEAjwjPXIBRDhwICRg-DbgHISJADP6QXpcO4TdWOt8C4jyFSvxF08XDRVYdU5GhyJgVoRUZfghxoCnmzw_wcB). Absolutely delighted with it so far! It came (from my pal) with 700x33c tyres. Are there any restrictions on placing thinner tyres on it? I know you suggest 28’s but theoretically could you put on 700x23c’s? * My friend had it 10 months and rode on it for >50miles!! Wow, great bike and what a bargain too. Very nice, bet it rides like a dream. You should be able to go lower, you’ll need to double check rim widths, as the tyres might be too thin for the rims depending on their size but you should be fine.